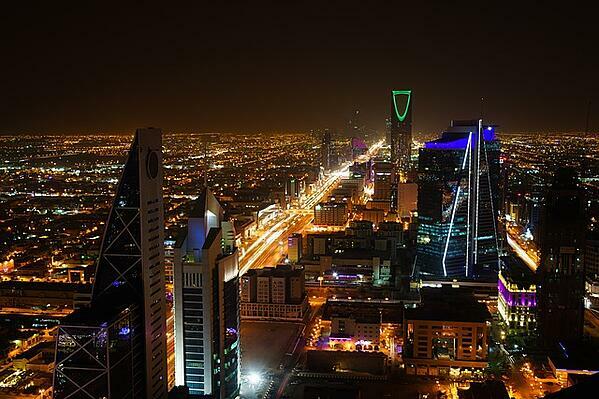 More than a year and a half after Saudi Arabia unveiled economic reforms under Vision 2030, the Kingdom appears to be making considerable headway in planning and launching key projects that will ultimately give a much-needed boost to its construction sector. A long list of mega-projects are currently in the pipeline, including an $8 billion expansion of rail services in the country, the development of the $67 billion King Abdullah Economic City, and the $2 billion Jeddah Tower, which is expected to surpass Dubai’s Burj Khalifa to become the world’s tallest tower when it’s completed in 2020.
Business sentiment in the Kingdom’s construction market is improving, according to Pinsent Masons’ recent Annual GCC Construction Survey, which showed 29 per cent of respondents expecting to see the most opportunity over the next 12 months, compared to just 11 per cent in 2016. According to KPMG’s Saudi Arabia 2030: Life after Oil report, the Kingdom’s aim to attract foreign and private investment has led to the announcement of large-scale infrastructure projects across the healthcare, transportation, tourism and renewable energy sectors. These announcements have received wide interest and have already had a positive knock-on effect on the country’s construction industry. Last December, Saudi Arabia unveiled its 2018 budget – the largest in its history -which earmarked SAR 54 billion for infrastructure spending. These investments will be used to fund the development of roads, ports, railways, airports, housing, and information technology, along with many other mega projects tied to Saudi Vision 2030. The planned projects support the Saudi government’s strategy to leverage its geographical location and position the Kingdom as a logistics hub connecting Asia, Africa and Europe. Work has already begun in recent years to expand the country’s airports and develop the Riyadh Metro, the country’s first-ever public transport network. Among the most ambitious aims is the Kingdom’s goal to attract 1.5 million leisure tourists by 2020. Considering the fact that Saudi Arabia has mostly relied on religious tourism in the past, there is plenty of room to build new hotels, retail developments and attractions in the foreseeable future. Currently, there are 172 hotel projects in the planning, tender, design and under construction stages according to ProTenders construction intelligence platform, which account for 17% of all active hospitality projects in the GCC. Following the unveiling of Saudi Vision 2030 in 2016, international companies like Rezidor Group and Accor were quick to respond by announcing plans to open dozens of new hotel properties in the Kingdom over the next few years. Other hospitality projects also taking shape are Panorama Jeddah and Movenpick Hotel Waad Al Shamal. Economic reforms in Saudi Arabia are also expected to present significant opportunities for the private sector to invest in the Kingdom's healthcare industry according to JLL MENA, which identifies the kingdom’s ageing population and growing demand for hospitals and other healthcare facilities as key factors that will drive growth within the sector over the next five years. The 2018 budget has allocated SAR 147 billion to expand health services in the country, of which SAR 33 billion will go towards the initiatives linked to Saudi Vision 2030. A total of 36 new hospitals will be built across the Kingdom adding a capacity of 8,950 beds, and two medical cities with a total capacity of 2,350 beds are being constructed. Some of these healthcare facilities already underway are Dr. Sulaiman Al Habib Medical Centre in Jubail, Riyadh Medical City for Rehabilitation & Treatment and Dr. Sulaiman Al Habib Hospital in Al Sahafah District. Ambitious government targets, a fast-growing population and shift to privatization are creating new growth potential in the expanding construction market. Objectives outlined in Vision 2030 put a major emphasis on public-private partnerships, joint ventures and the privatization of government entities. Such measures will be critical to ensuring the Kingdom achieves its goal of increasing the private sector contribution to the country’s gross domestic product (GDP) from 40% to 65% by 2030. By now, local construction companies and foreign ones that want to be part of the Saudi Arabian construction landscape should feel reassured by the government’s commitment to the plan's overall success, thus also implying a long-term positive outlook on the Kingdom’s construction industry. ProTenders’ Construction Intelligence platform offers the latest market data on the all active and completed construction projects in Saudi Arabia, and other GCC countries. Reach out to us for a demo.